I have a 29-inch wheel with 32 spokes will the SON 28 Centre Lock Disc Dynamo Front Hub fit ok? Yes this would be fine for use on a 29" wheel! Can this be converted from QR to 12mm thru axel? Thank you for your enquiry. Unfortunately this QR version cannot be converted to 12mm thru axle however we do stock the 12mm version, this is our item number 48212 on the website. I need a Dynamo and bits and bobs to charge a phone, well cycling. the bike is a speclized rock hopper, wheel is 29in with disc brake and 28 spokes. is this what i need? 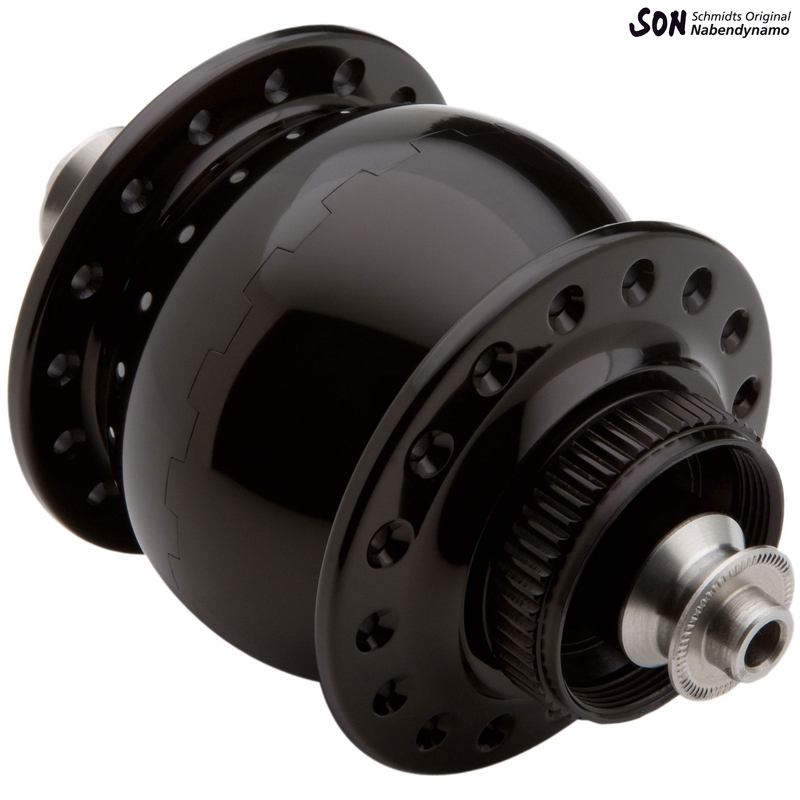 This hub can be built into a 29 inch wheel and can be used with disc brakes. To charge a phone you will need an external charging device that then plugs into this hub. This would be the only disc option we'd have with only 28 spokes.